 "I have always had an excellent experience at Hair Lounge. Everyone is always professional, courteous, and helpful. The atmosphere is clean, pleasant, friendly and enjoyable. Highly recommended!" "Daniel Levy is the best colorist in Washington, DC. He has been my stylist for 5 years. My blonde highlights look so natural, many of my friends don't even know I color it! I highly reccomend this salon to anyone in the Washington, DC area." "I recently wanted to go back to blonde and researched different hair salons in DC. I came across Hair Lounge and made an appointment with Daniel. I cannot express how happy I am with the results! He is by far the BEST stylist I've ever had. I've gone to other places that couldn't quite get the blonde I wanted. His highlights are perfect and I'm ecstatic I found him! It's a must!" "Love love love this place! I've been coming to Hair Lounge for 4 years and never will go anywhere else to get my hair done. Great stylists, professional, and friendly people. A place where you feel relaxed and treated well. " "Lisa is the best! I have been with Lisa for over 15 years. She gives the best cuts in the city and is a pleasure. Lisa is kind, caring, and always has interesting stories. The shampoo ladies are the best and the receptionist is great." "I had trouble finding a stylist in DC area; I tried many salons until I came to Hair Lounge. I get exactly what I asked for, my color is gorgeous, and I get tons of compliments on my hair cut! The best salon for color." "Special, personal, and professional. The best salon in town, no exceptions!" "This is my go to salon for the whole family. I started getting my hair colored over 10 years ago and I have been here ever since. The wonderful employees at Hair Lounge are like family to me. All of my friends ask me where I get my hair done"
"Hair Lounge is as New York as you can get in DC. Great atmosphere and great talent. No fuss but caters to the client. Daniel has been my guy for years. I followed him from each salon move and now he has his own. Couldn't be happier! Good price too."